For any questions on Franklin County polling places you can contact the clerk’s office, division of elections at 636-583-6364. 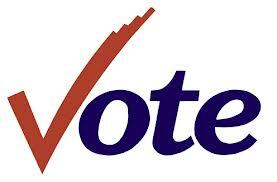 Polling places will be open from 6 a.m. to 7 p.m. for the primary election Tuesday, during which time any person properly registered to vote in Franklin County will be given the opportunity to cast his or her ballot. Berger Ward 1, St. Paul’s Catholic Church, 403 Walnut St., Berger. Berger Ward 2, St. Paul’s Catholic Church, 403 Walnut St., Berger. Berger Out of Town, St. Paul’s Catholic Church, 403 Walnut St., Berger. Excelsior/Yeates, Assumption Catholic School, 605 Miller, New Haven. Gray Summit, United Methodist Church, 204 Ford St., Gray Summit. Labadie, Pilgrim United Church of Christ, 301 Third St., Labadie. Pacific Ward 1, Pacific Presbyterian Church, 410 W. St. Louis, Pacific. Pacific Ward 2, Pacific Eagles Club, 707 W. Congress, Pacific. Pacific Ward 3, Pacific Eagles Club, 707 W. Congress, Pacific. Pacific Out of Town, Riverbend School, 2085 Highway N, Pacific. St. Albans, The Fulton School at St. Albans, 123 Schoolhouse Road, St. Albans. Villa Ridge, First Baptist Church of Villa Ridge, Highways AT and M, Villa Ridge. Elmont/Japan, Japan R16 School, 4640 Highway H, Sullivan. Gerald Ward 1, St. Gerald Catholic Church Hall, 402 E. Fitzgerald Ave., Gerald. Gerald Ward 2, St. Gerald Catholic Church Hall, 402 E. Fitzgerald Ave., Gerald. Gerald Out of Town, St. Gerald Catholic Church Hall, 402 E. Fitzgerald Ave., Gerald. Leslie Out of Town, Leslie Fire Station, New Fire Station, Leslie. Leslie Village, Leslie Fire Station, New Fire Station, Leslie. Spring Bluff, Spring Bluff R15 School, 9374 Highway 185, Spring Bluff. Catawissa, Catawissa Union Church, Highway N & HH, Catawissa. Robertsville, Robertville Masonic Hall, 1228 Adler Ln., Robertsville. Dry Branch, St. Clair Elks Lodge, 35 E. North St., St. Clair. Parkway Village, St. Clair Elks Lodge, 35 E. North St., St. Clair. Prairie Dell, East Central College, 1964 Prairie Dell Road, Union. St. Clair Ward 1, St. Clair City Hall, 1 Paul Parks Drive, St. Clair. St. Clair Ward 2, St. Clair City Hall, 1 Paul Parks Drive, St. Clair. St. Clair Out of Town, St. Clair Elks Lodge, 35 E. North St., St. Clair. Beaufort-Lyon, Beaufort Lions Club, Highway 185 to Lutheran Church Road. Detmold/Jaegers Shop, Stone Church, Highway Y to Stone Church Road. Lyon, Campbellton School, 3693 Highway 185 and KK. Charmwood, First Baptist Church of Stanton, 1991 Meramec St., Stanton. Miramiguoa Village, Sullivan School Admin. Building, 138 Taylor St., Sullivan. Oak Grove Village, Sullivan School Admin. Building, 138 Taylor St., Sullivan. Pea Ridge, Beaufort Lions Club, Highway 185 to Lutheran Church Road. Stanton, First Baptist Church of Stanton, 1991 Meramec St., Stanton. Sullivan Ward 1, First Presbyterian Church, 285 E. Springfield Road, Sullivan. Sullivan Ward 2, First Presbyterian Church, 285 E. Springfield Road, Sullivan. Sullivan Ward 3, First Presbyterian Church, 285 E. Springfield Road, Sullivan. Sullivan Out of Town, Sullivan School Admin. Building, 138 Taylor St., Sullivan. New Haven Ward 1, New Haven City Hall, 101 Front St., New Haven. New Haven Ward 2, New Haven Fire Station, 103 Dwayne Von Behren Drive, New Haven. Duemler, Bethel Baptist Church, 569 Bethel Church Road, Lonedell. Luebbering, St. Francis of Assisi Parish Center, 7753 Highway FF, Luebbering. Clover Bottom West, St. Ann’s Church Hall, 7851 Highway YY, Clover Bottom. Clover Bottom East, Wellspring Wesleyan Church, 2396 Highway A, Washington. South Point, Presbyterian Church of Washington, 4835 South Point Road, Washington. Ziegenmeyer, First Christian Church, 6890 W. Highway 100, Washington. Beaufort-Union, Beaufort Lions Club, Highway 185 to Lutheran Church Road. Gildehaus, St. John’s-Gildehaus cafeteria, 5567 Gildehaus Road, Villa Ridge. Jeffriesburg, St. Joseph Parish Hall, 2401 Neier Road, Union. Krakow, St. Gertrude Old Hall at Highway A and YY, Krakow. Union Ward 1, City Hall Council Room 3, 500 E. Locust, Union. Union Ward 2, St. Paul Lutheran Church, 208 W. Springfield Ave., Union. Union Ward 3, First Methodist Church, 848 W. Main St., Union. Union Ward 4, East Central College, 1964 Prairie Dell Road, Union. Union Out of Town, Union Fire Station 1, 1401 W. Springfield Ave., Union. Washington Ward 1, American Legion Hall, 1007 E. Third St., Washington. Washington Ward 2, Headquarters Fire Station, 14th St., Washington. Washington Ward 3, KC Hall, 1121 Columbus Lane, Washington. Washington Ward 4, City Hall Council Chambers, 405 Jefferson St., Washington.